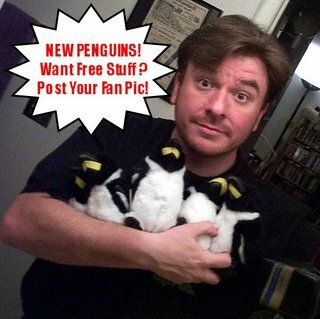 Bionic Penguins! About Flippin' Time! Thanks to April for finding this one! This is a silly video I created on the fly while drinking a martini and remembering that i had yet to reinstall my Sony Vegas Video editing software. having only Windows Movie Maker on-hand, and certainly having too much time available to me, this is the crap I came up with for your enjoyment. I used different music initially and had to use YouTube's pre-approved, royalty-free tunes instead. Thank goodness I can pick a good background track regardless of what's available. 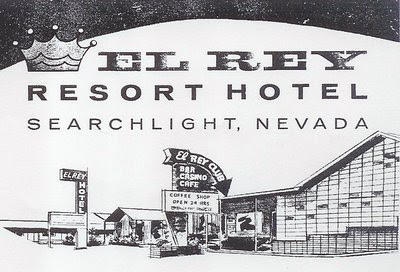 Even though there hasn't been much said here at the blog regarding the El Rey Resort and Casino, there has indeed been some movement regarding the research and the collecting. If all goes well regarding some upcoming gigs I should be able to quit my day job by summer. Believe me when I tell you I am keeping my fingers crossed for this to happen. Not only because I need out of there, but because it would free up a lot of my time so I can start conducting thorough and necessary interviews with so many of Willie Martello's family members. I've really made some great new connections and I am hopeful to learn so much more than I'd ever imagined. If all this happens I can surely get enough material together to write the book in the best possible manner. Truthfully, I believe this project will be with me for the rest of my life and I see the potential for a few books. There is just so much to say and so many stories to tell. That being said, I've come to realize that my blog has gathered even more attention from some casino collectors, eBay sellers, and the like. I know this because one such person contacted me after listing an item online and apologized for finding my blog after the listing went up. I told the person it was no big deal as I already had the item in question, a $25 poker chip. Well, I ended up bidding on the item anyway, not throwing up as high a bid as I would have if I hadn't owned this already, but tossing out a number in the hopes I could get the item at a decent price. It wasn't being bid through the roof so I figured at the very least i could drive the price up a bit for the guy who was nice enough to contact me and tell me he'd let me know in the future if he clears out of any of his other items. You guessed it. I won the chip. Now I have a second one and I REALLY don't "need" it, which brought about an idea. I can post some of the duplicate items I have available and perhaps find someone willing to trade for the things I have. Most who know me know I am not interested in selling or reselling any of the El Rey items I find (unless it helps fund this project in a manner I cannot do myself) so trading seems like a great idea. Some of these items are quite rare and possibly quite valuable to the right collector. Any inquiries or trade offers should be sent to me at andy@andymartello.com. You may also contact me by phone at 702-465-5604. I think this is a rarity and certainly something of value to a Nevada casino collector or just an old Nevada collector. The sheet features 16 names, a few of note in the gaming industry. Naturally, Willie Martello was the President of the organization. Surely someone out there with something I don't have would want this in their collection. I've no idea if this is an item from the time of the El Rey or simply something made years afterward for some sort of city celebration. I am looking into finding out some of the history, but finding someone at Opportunity Village who knows the history of the place and their projects is rather difficult. Strange, since they sure seem to have a knowledgeable person to make media appearances all the darned time. Ah well. Not really "Rare" by any stretch so far as I know, but I do have more of them than anyone I know so my view may be a bit skewed. I was planning on using the extras as giveaways with a special edition of my book. However if trading these can gather better goodies for me...all the better! I have several of these with varying degrees of quality. They're oddly more readily available than the amber ashtray and the ever-elusive metal ashtray, but they are easily the coolest of the bunch. Prices on this depend upon condition and I do have some in absolutely amazing condition! I believe this to be quite rare as well and I have more of them than anyone around. This was one of the earliest examples of a casino "comp" I could find. I'm sure some savvy casino collector can tell me how wrong I really am, but since Willie was such an innovator this kind of cool gaming/food voucher in such great condition is an excellent find. 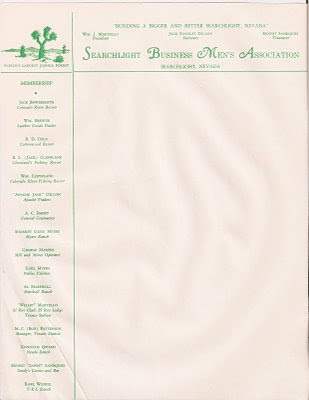 I have two original issues of the Searchlight journal newspaper from 1946. I will be very hesitant to part with these because of the historic value to them aside from that of the El Rey. However, I will be making high quality scans for myself and reading all the columns several times to scour for information. If the right offer comes about from someone with an artifact I truly need more than I need these papers, they will go to a better home. These are very rare and very delicate. Serious offers only. Scans available by request. 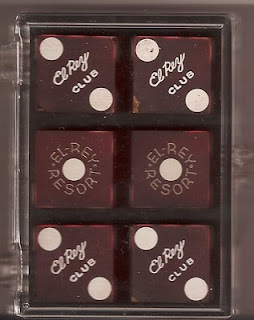 As you can see, I have two duplicate sets of El Rey Club dice that feature the name on the "two" spot. Both in great shape, but not quite as great condition as the set I'm keeping for myself. I know...what a jerk, right? In the middle is a duplicate set of the Christy & Jones El Rey Resort dice. These do not feature a painted serial number on the back and the serial numbers do not match. however, the dice are in damn fine condition are are certainly desirable to the right collector. Wanna know what you can offer as a trade? To see my current El Rey wish list, CLICK HERE. 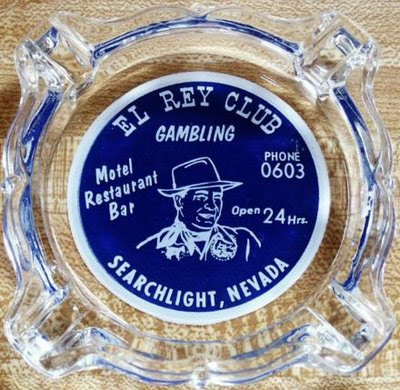 For a full listing of all El Rey items I own CLICK HERE. Complete details of all my El Rey Research can be found HERE. First off, you REALLY should come up with a better name. In 2009, tea-bagging means something completely different from what you're trying to say. Rachael Maddow knows it and I ASSUME she has merely heard the term and not practiced in the art. Keeping your ignorance at bay and focusing on your incredibly confusing and inexplicably misguided protest for a moment, let me just say this...You are truly doing the absolute LEAST you can do. I'm amazed you offered that much effort to be honest. Enjoy your pointless attempt at social relevancy. Anyone near the greater Memphis/Tupelo area should know about the Market Street Festival in Columbus, MS. If not...learn something! It is a fabulous festival filled with food, music, and entertainment for all ages. Of course, this year's festival will certainly be that much better because I will be making a triumphant return. There will be plenty of souvenir Andy Martello Trading Cards available for all in attendance and I plan on having a great time bringing my act back to Mississippi (the only state I ever learned how to spell properly). Please pass along the word and tell anyone you know in that neck of the woods to come out and see a great show. Jump into the TARDIS to enjoy my post from March 27, 2005. Happy Easter to those who care about such things. I don't give a damn because today is much more important to me knowing that it is my wife, April's birthday. It seems as though the real benefit of joining Facebook has less to do with marketing or reconnecting with old friends and more to do with finally satisfying curiosity and checking out what ex-girlfriends (or boyfriends for some) look like these days. At least that's what I seem to be using it for. Thank goodness I've had a very easy-to-find website for all these years. So many could check in, see I still have all my hair and am way cool, and then never contact me. Eventually I'll have something to promote and I can use social networks more efectively. Until then...I add past loves and lovers to the "Friends" list. Perhaps there should be a "Just Friends" list on Facebook. See what I did there? I continue to be way cooler than most of my "friends", if not one funny mofo. My two brothers are in town! In 11 years my wife has never seen all three of us in the same room. Going to Searchlight, NV and beyond today. Two years ago on April 1st, I had rather a hard time getting people to believe me when I told them a storm destroyed my home the day before.